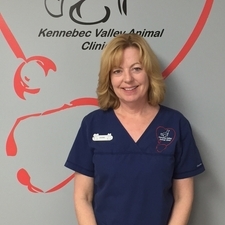 Dr. Karen Walsh has owned Kennebec Valley Animal Clinic since 2011. 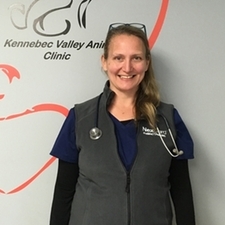 Before that she worked for 5 years at Animal Medical Clinic in Skowhegan. 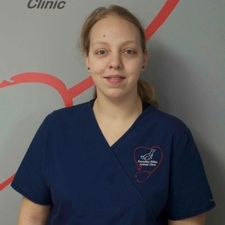 Karen is originally from Prince Edward Island where she graduated from Atlantic Veterinary College. She lives in Farmingdale with her husband, son, daughter, a dog and a houseful of cats. Dr. Katie Kiger joined our team in September 2017. She grew up in Portland, Maine, and graduated from veterinary school at University College Dublin in Ireland in 2016. She now lives in Brunswick with her three dogs, Bindi, Clover, and Fiddle, and the kitty extraordinaire Jada. Her passions include nature, world travel, camping, art, and sharing great experiences & adventures with friends! 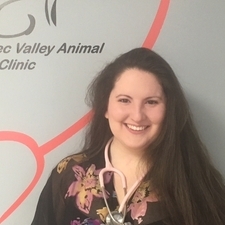 Dr. Karina Omark joined the KVAC team in May 2018. 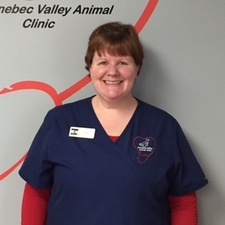 Originally from New York City she moved to Maine after graduating from Tufts School of Veterinary Medicine in 1997. She practiced in Farmingdale and Yarmouth for 14 years before she moved with her family overseas. Upon returning to the states she resumed practice in the area. She lives in Yarmouth with her husband, children, 2 dogs, 3 cats, and a lizard. 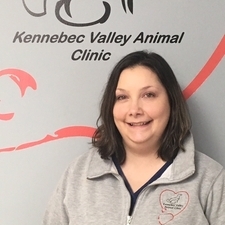 Shannon has been a licensed veterinary tech at KVAC since 2014. She graduated from Medaille College in 2010. When she is not at the clinic she spends her time trying to keep up with her German Shepherds Moxie and Phoebe. Shannon is a 4-H group leader and enjoys giving riding lessons and doing competition with her six horses. Sheri joined our team in March 2016. She has been a vet tech for 25 years. Born and raised in Oklahoma, she moved to Texas in 1989 to attend Texas A&M. After graduating she spent three years in Austin working as a technician at a large six-doctor practice. She fell in love with Maine during a 1994 camping trip and moved to Winthrop in 1995. She has three dogs, Kady, Marlow, and Aoife and five cats Junebug, Gilligan, Mabel, Poppy, and Hawkeye. Sheri also keeps bees. Her hobbies include quilting, baking, stain glass, gardening and anything Irish! Sheri loves to travel to Ireland and plans to retire there. Wendy joined our team in June 2017. 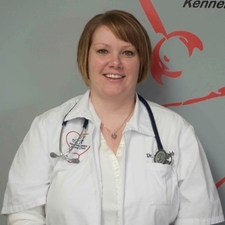 She graduated from UMA Bangor in 2011 with a Vet Tech degree. Wendy lives in Winthrop with her husband Rick and their daughter Evelyn. She also has 2 dogs, Halle and Zeke, and 2 cats named Grizabella and Millie. In her spare time Wendy enjoys tap dance, camping, and ice fishing. Joanne joined our team in August 2017. She lives in West Gardiner with her husband Jay and their dog Ranger and cats Lulu, Newman, and the newest baby Nugget. They enjoy camping, boating, and going on outdoor adventures. Stacy joined our team in September 2016. She was born in Augusta, but was raised in Georgia. 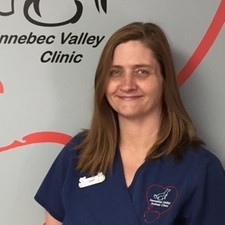 She worked in the veterinary field for eights years before returning to Maine in the summer of 2016. Stacy has two children that still live in Georgia. She enjoys being outdoors and spending time with her friends and family. Stacy is our southern belle! 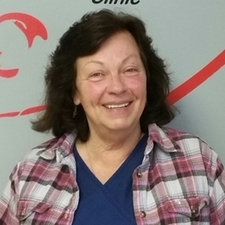 Carol has worked at KVAC since 1992. She lives in Litchfield with her husband, Ken, and their cats, dogs and horses.